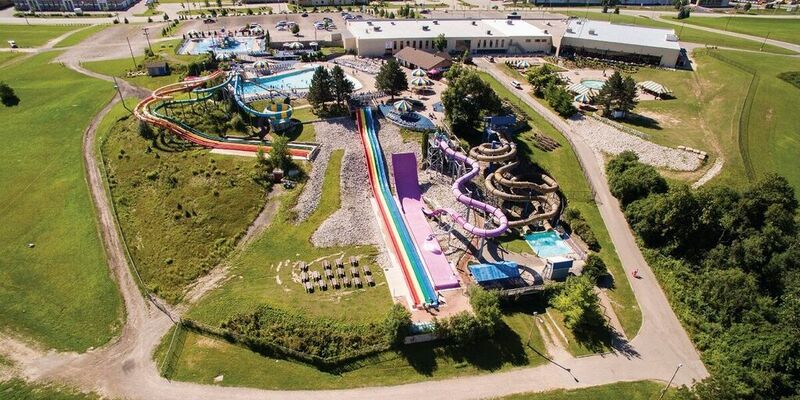 Make a splash at Bingemans Big Splash, Waterloo Region’s largest outdoor waterpark. Whether it’s for an afternoon or a weekend, it’s fun for kids of all ages! Several thrilling water attractions are sure to get your adrenaline pumping. Boomerango is a “high-octane” ride where rafters travel down a large drop towards an almost vertical wall. Full Throttle sends you and three friends through a slippery race to the finish line down separate slides. The Cyclone is powered by centrifugal force, and spins riders around until gravity drops them into the splashdown pool below. Torpedo Bay sends three friends racing down separate enclosed AquaTube slides, each of which takes a unique course before dropping off. The Pipe is completely enclosed and combines both speed and thrills as riders twist along the course! Suitable for smaller children, the interactive water playground Spray ‘n’ Play has geyser jets, controllable water flows, three children’s slides, a net walk, water umbrella, 1,200-gallon tipping bucket, and more. It’s a great spot to keep kids entertained for hours while parents relax on the sidelines, or take part in some of the entertainment themselves! 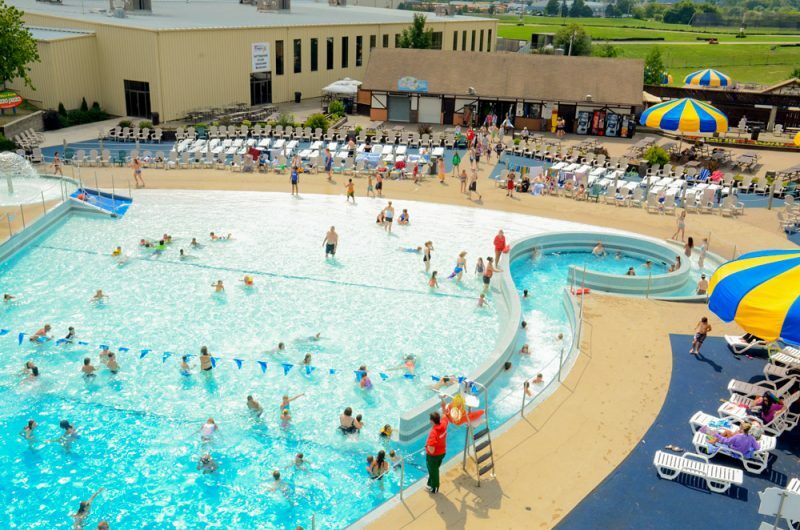 The wave pool at Big Splash is Waterloo Region’s largest! Alternating wave patterns, circulating channel, and water umbrella guarantee hours of fun as the waves come and go! For a unique and fun birthday experience, book a party for your kids and their friends at Bingemans Big Splash, or sign your kids up for summer camp! With many camp options to choose from, such as paintball, Minecraft, counselor-in-training, MVP sports, eco-explorers, and more, day camp at Bingemans is sure to keep your children busy! 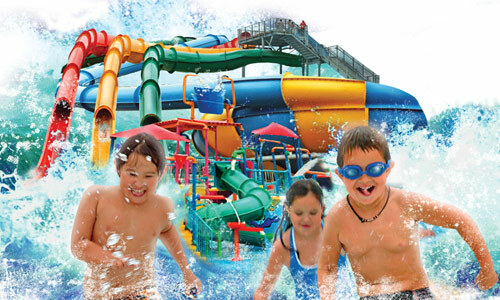 Bingemans Big Splash provides a safe environment for children between the ages of 4 and 14. A minimum height requirement of 48” is in place for all waterslides. Only CSA approved life jackets can be worn in the wave pool and are available for rent at the Surf Side Grill. Each year before Halloween, Bingemans opens the doors to Screampark - Canada’s scariest haunted attraction! Get ready to experience the terror as gruesome characters greet you while you work your way through various haunts. Will you make it all the way to the end, or will you run for the exit?